French-fried potatoes are a popular side dish; but when potatoes are cooked to a golden brown or overcooked, a potentially toxic compound called “acrylamide” may form. At the Agricultural Research Service (ARS) Food Science Research Unit (FSRU) in Raleigh, North Carolina, scientists are working to reduce acrylamide, a known carcinogen, while helping to preserve health-promoting compounds in foods. A team led by food scientist Suzanne Johanningsmeier has developed a method that rapidly estimates the amount of acrylamide in white potato French fries. carcinogen, in potato powder and French fries. Researchers involved in the study, which was supported by the USDA-National Institute of Food and Agriculture Specialty Crop Research Initiative Grant, included FSRU research leader Van-Den Truong and North Carolina State University (NCSU) sweetpotato and potato breeder Craig Yencho and postdoc Oluwatosin Adedipe. Johanningsmeier and colleagues wanted to see whether a new technique called “near-infrared spectroscopy” (NIRS) could specifically detect acrylamide. She and Adedipe used NIRS to examine potato flour spiked with different levels of acrylamide and found the technique successful. NIRS was then used to test and analyze French fries produced with various pretreatments and cooking times, as well as fries obtained from quick-service restaurants. To test new potato varieties for acrylamide, breeders grow them, make them into French fries, run a sample through a NIRS scan, and use the predictive calibration model to determine how much acrylamide is formed in each variety, Johanningsmeier explains. Breeders could then remove varieties with high acrylamide levels and keep those that have low acrylamide levels. This NIRS method has been extended to sweetpotato breeding and processing research for developing low-acrylamide fried products for many major potato chip and French fry processors. “With the NIRS technique, breeders can quickly evaluate large numbers of potato hybrids for potential acrylamide formation, facilitating breeding research and providing a substantial benefit to the industry,” Johanningsmeier says.—By Sandra Avant, ARS Office of Communications. “A Quicker Way To Detect Acrylamide in French Fries" was published in the November 2016 issue of AgResearch Magazine. Acrylamide, a carcinogen, forms in foods cooked at high temperatures. 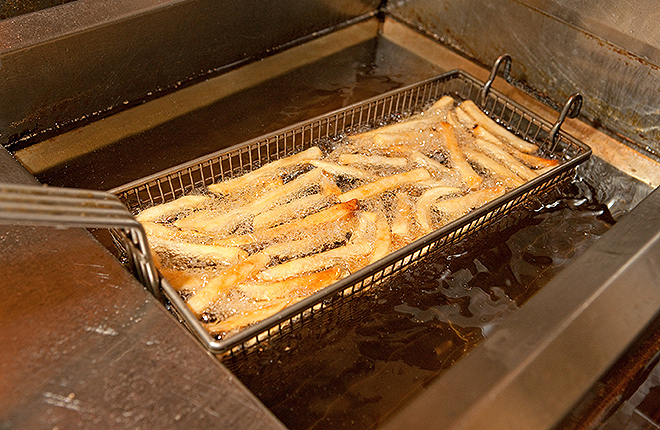 Near-infrared spectroscopy (NIRS) can be used to estimate acrylamide in French fries. 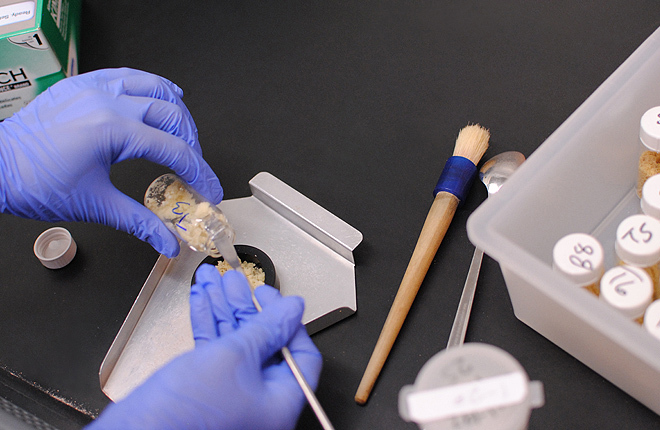 NIRS can be used to test new potato varieties for acrylamide formation. NIRS is quicker and less expensive than current acrylamide detection.